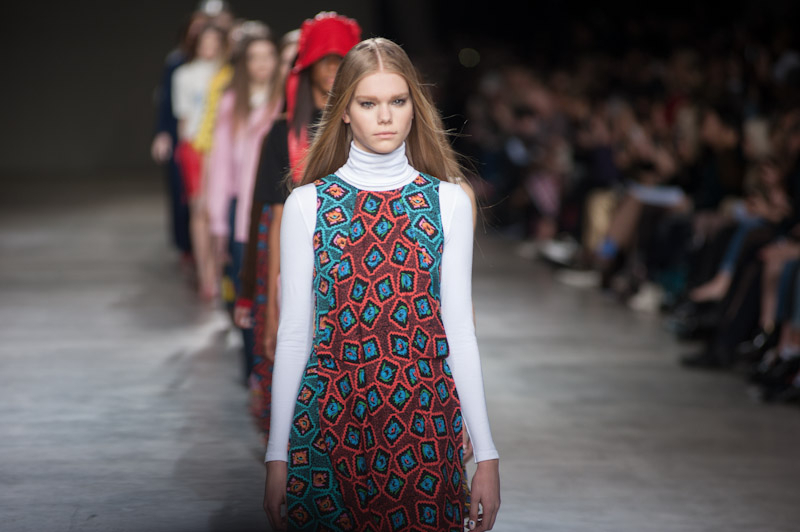 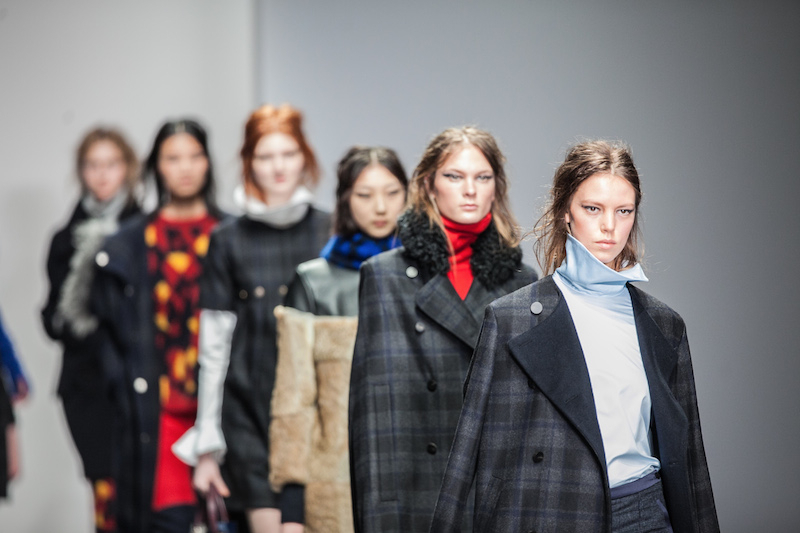 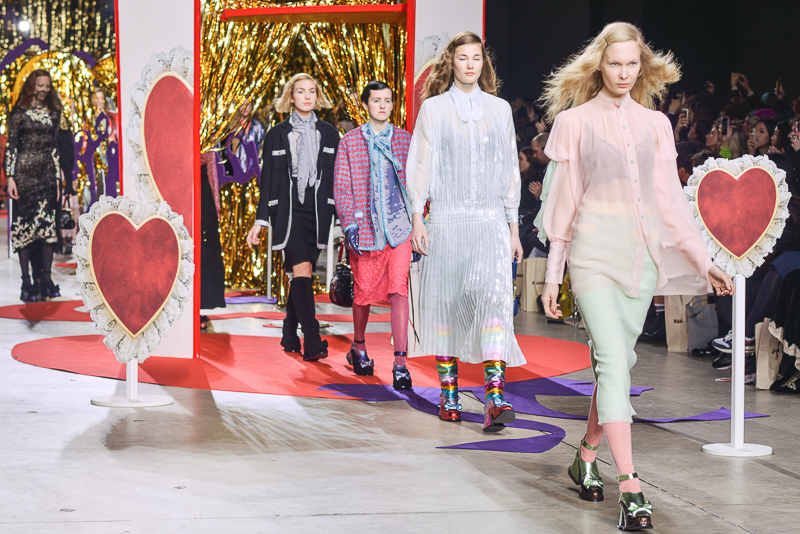 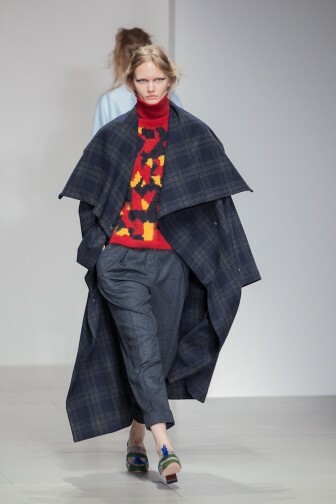 One of the most wearable collections yet, Eudon Choi’s autumn/winter 2014 collection is set to be a hit with those fashionistas closer to home next season. 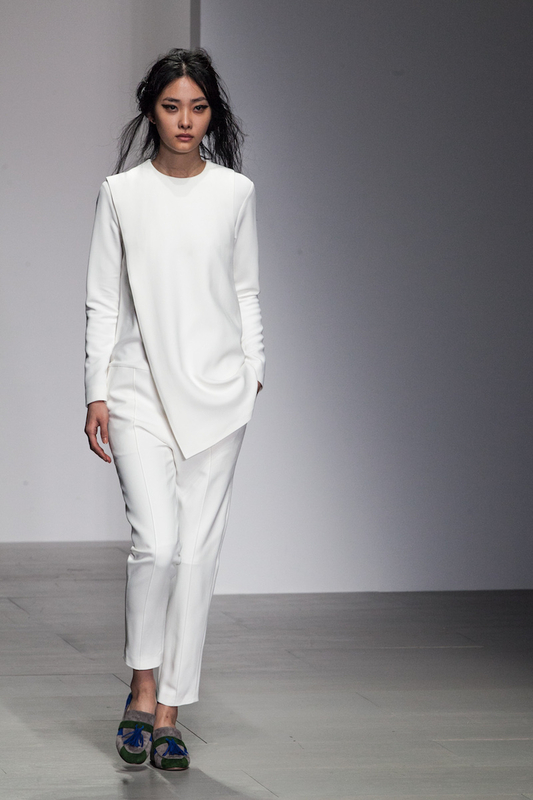 Think British heritage crossed with an air of minimalism. 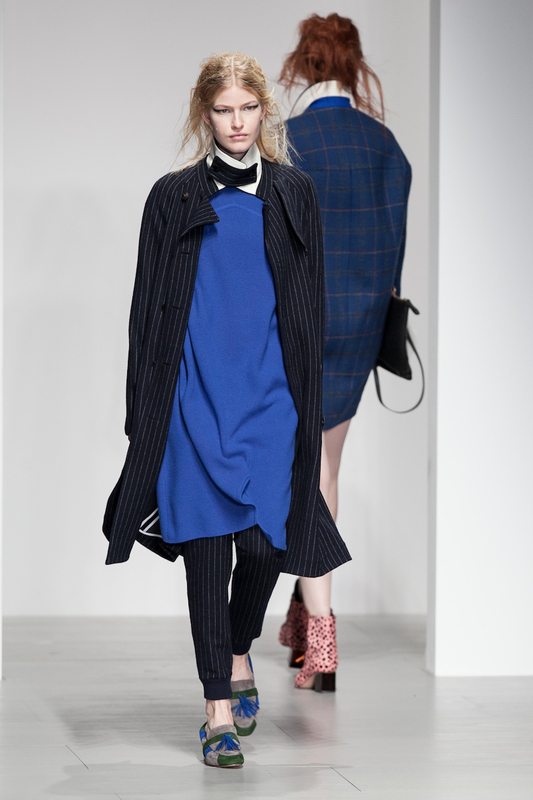 His choice of shapes in the collection create a cool and effortless feel, notably, loose tailoring on myriad checked and pinstriped suits. 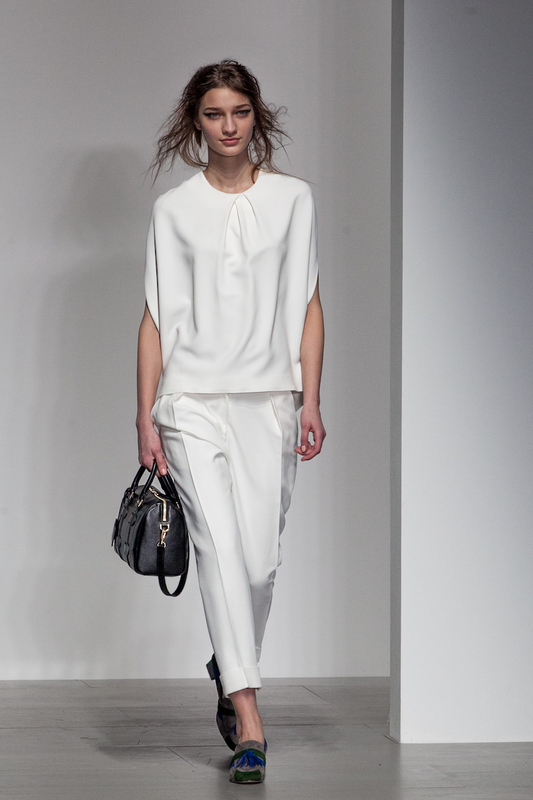 The wide-legged suit trouser made many an appearance, which Choi also teamed with his simplistic crisp white shirts and feminine yet smart satchel style handbags. 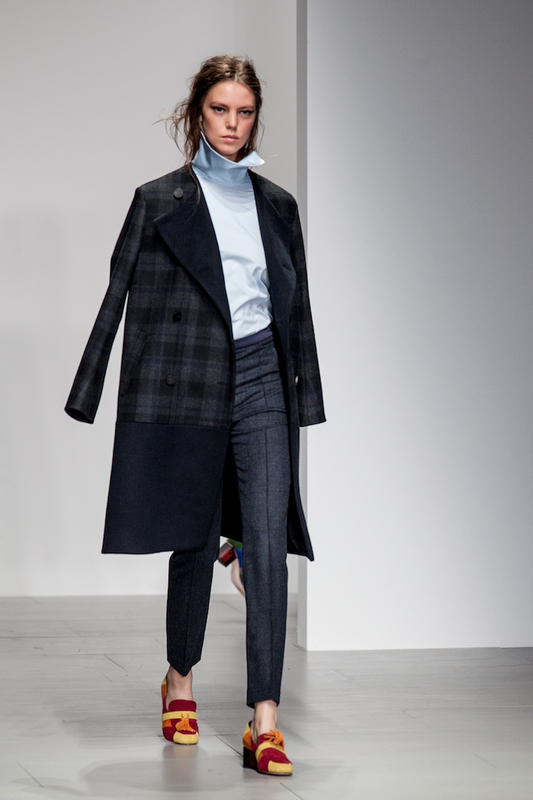 And with oversized double-breasted wool trench coats and heeled colour-blocking brogues aplenty, it’s apparent the collection seems to hint at that of contemporary, cool workwear. 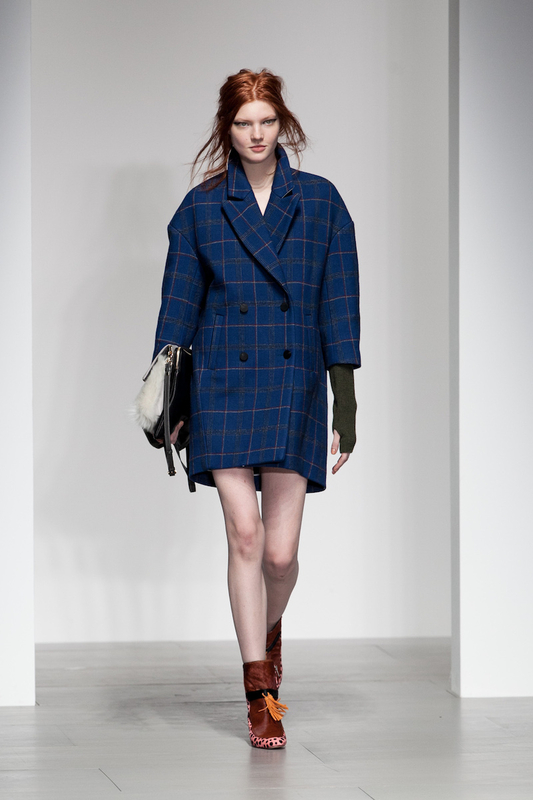 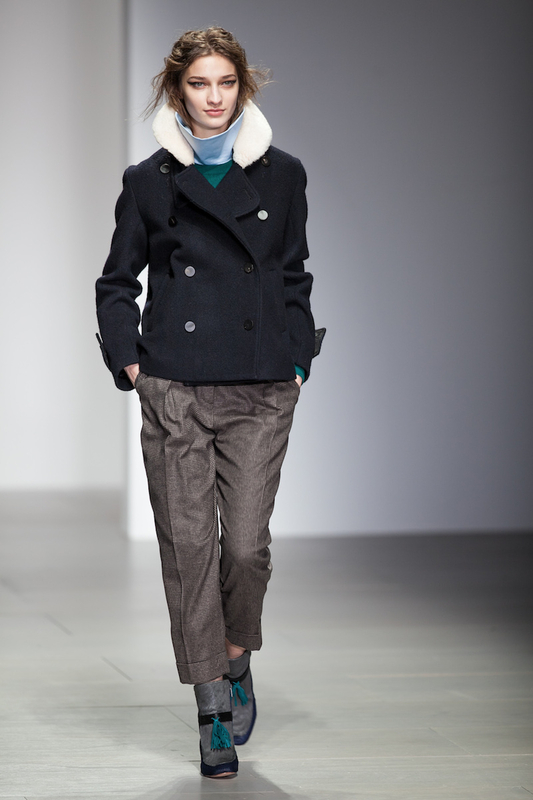 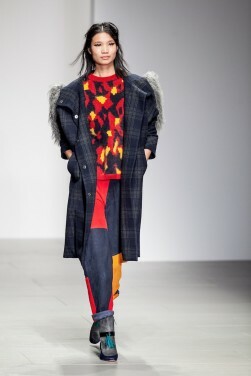 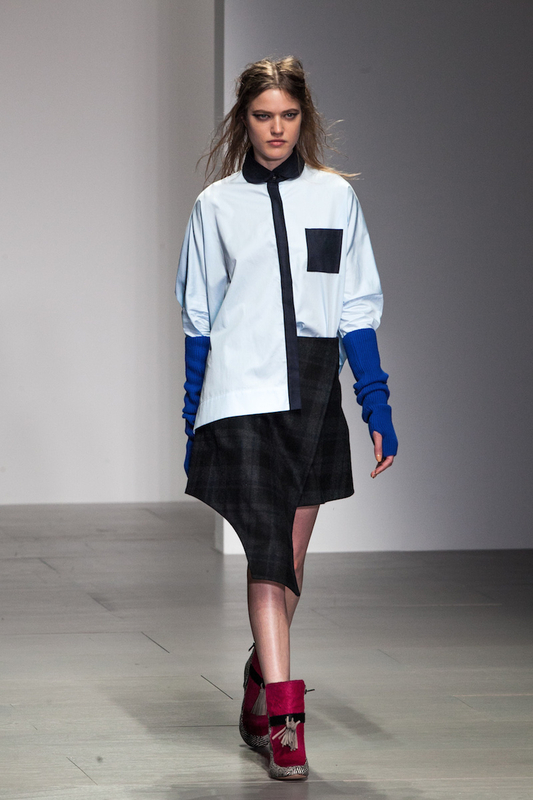 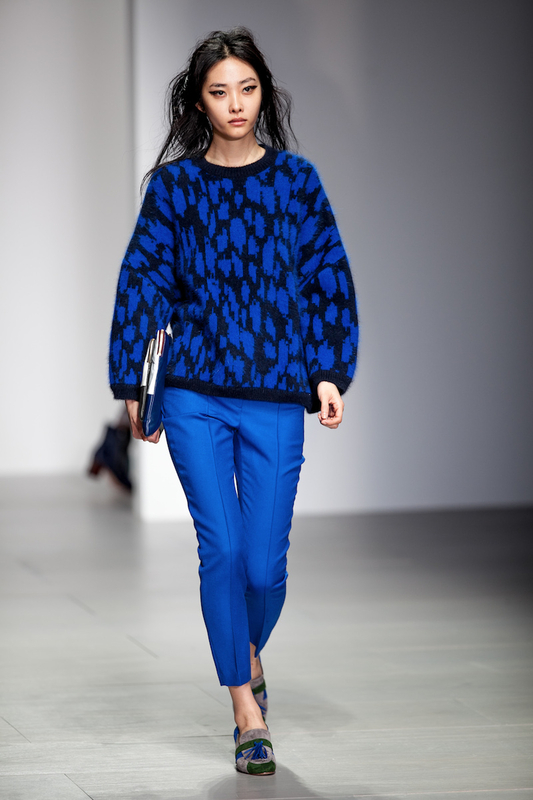 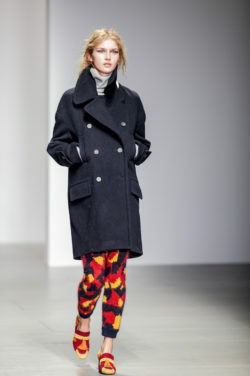 When Choi wasn’t recreating the current workwear scene, his collection reflected a casual British heritage look. 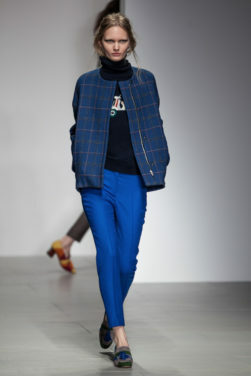 Featuring neutral beiges, greens and blues, Choi paired a refined selection of loose-fitting checked jackets with plain roll-necks and cigarette trousers. 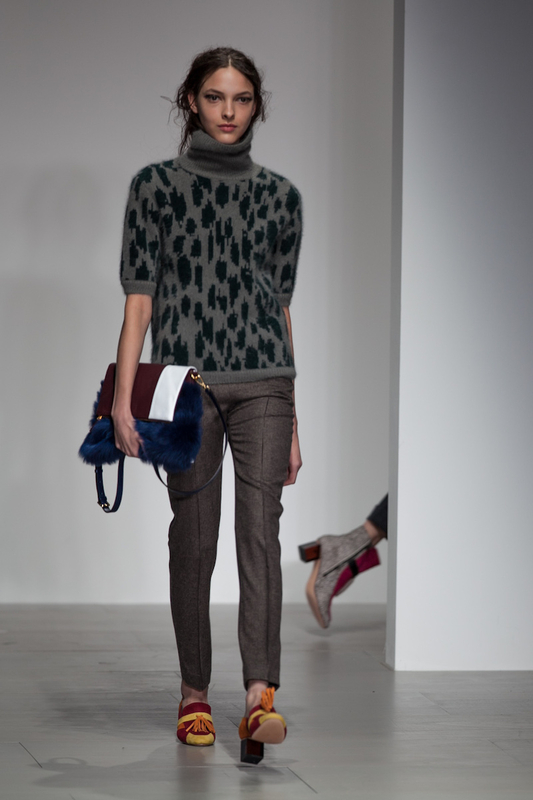 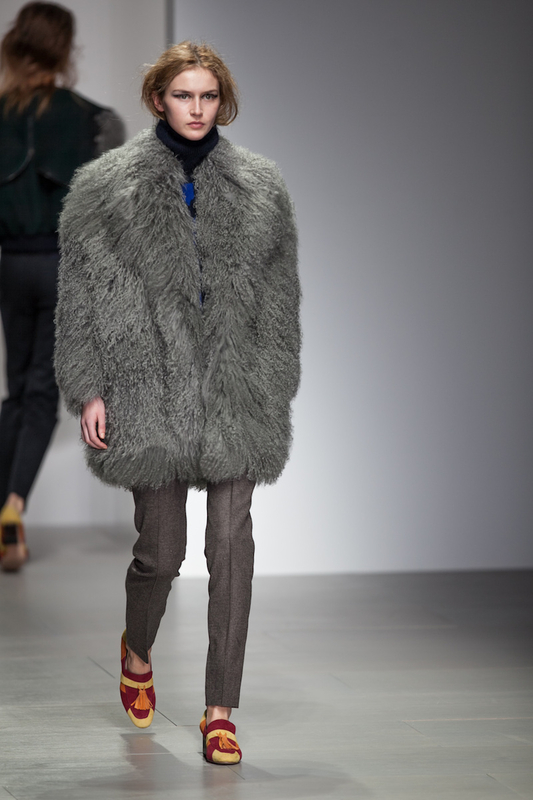 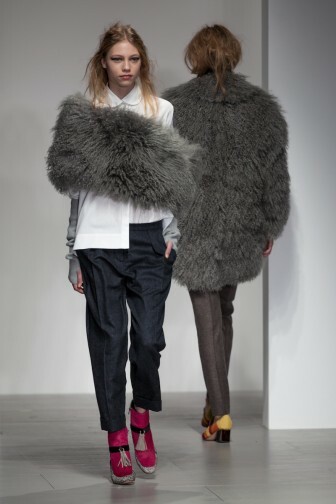 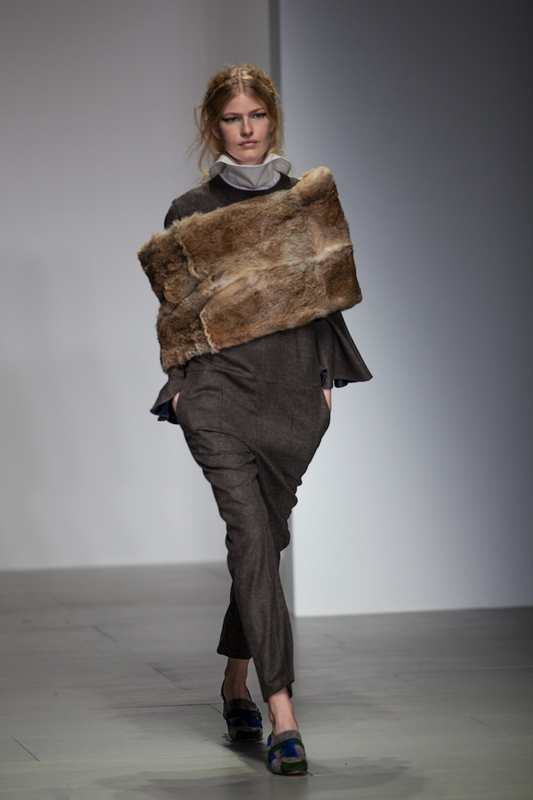 Models also donned oversized sheepskin fur shawls casually draping the body. 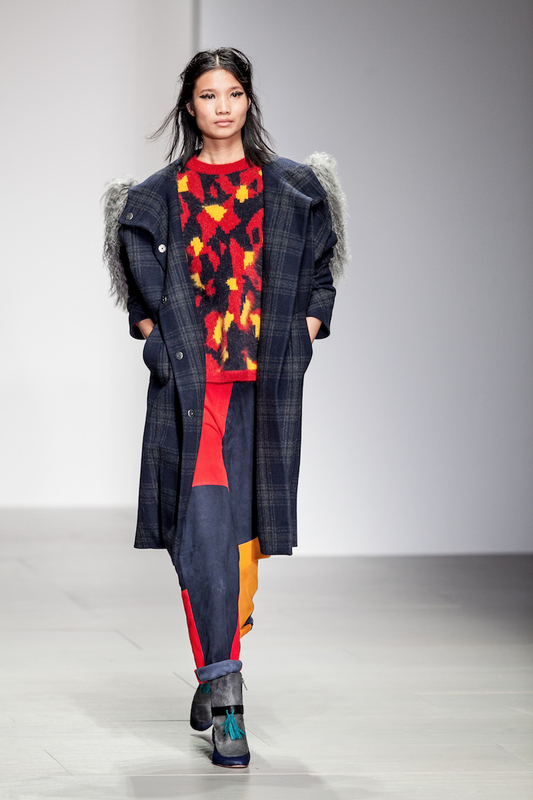 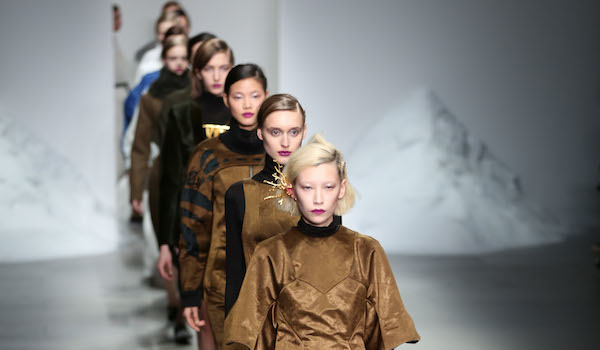 With two very different looks, Eudon Choi’s collection has something for everyone. 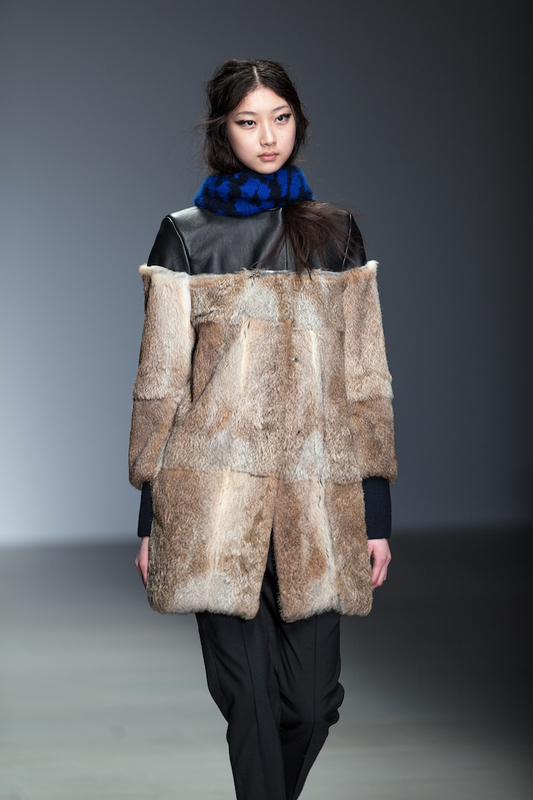 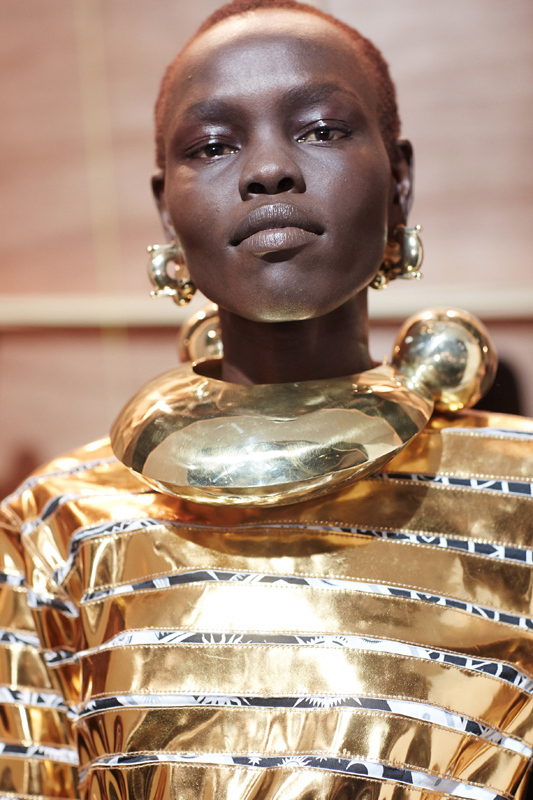 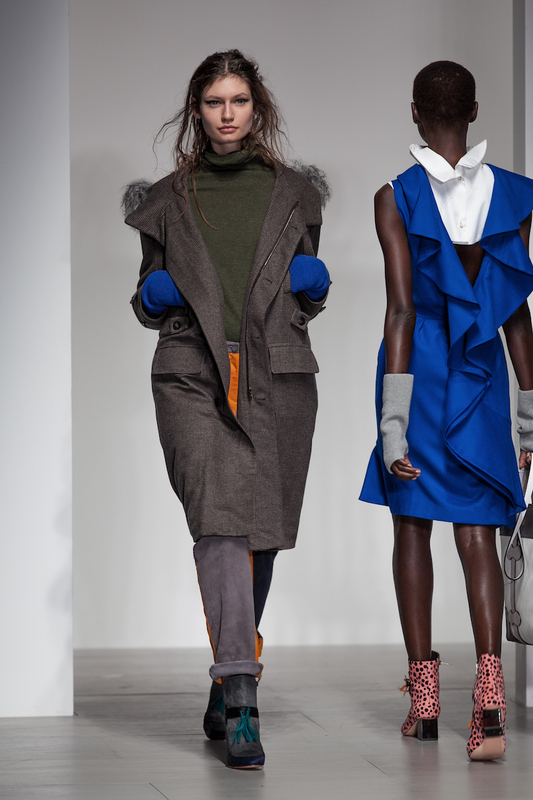 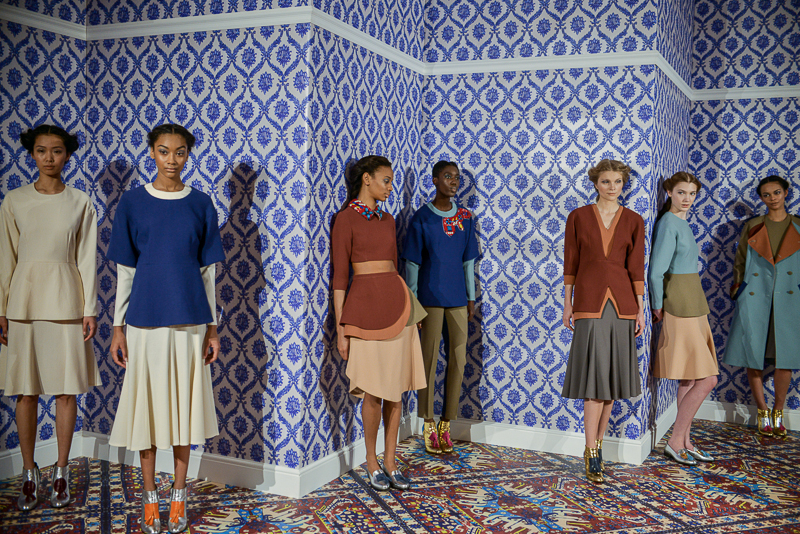 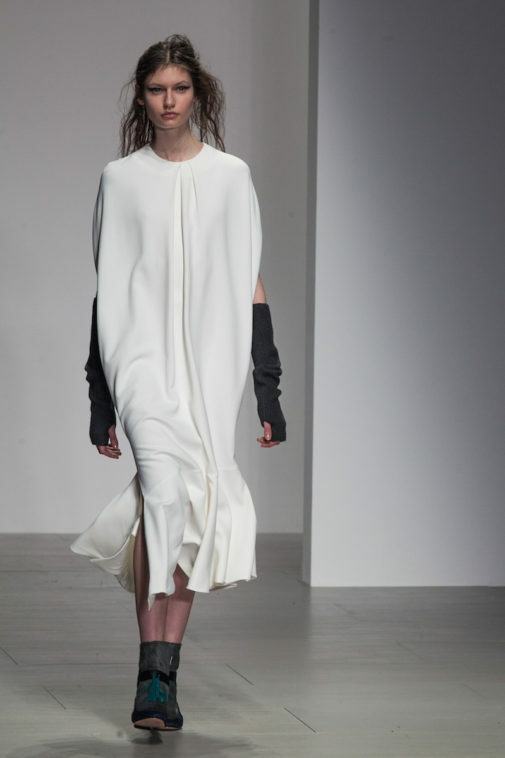 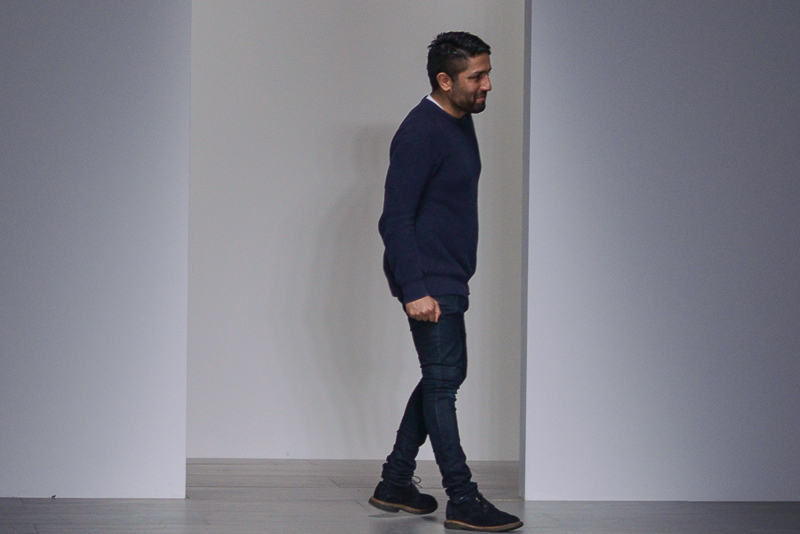 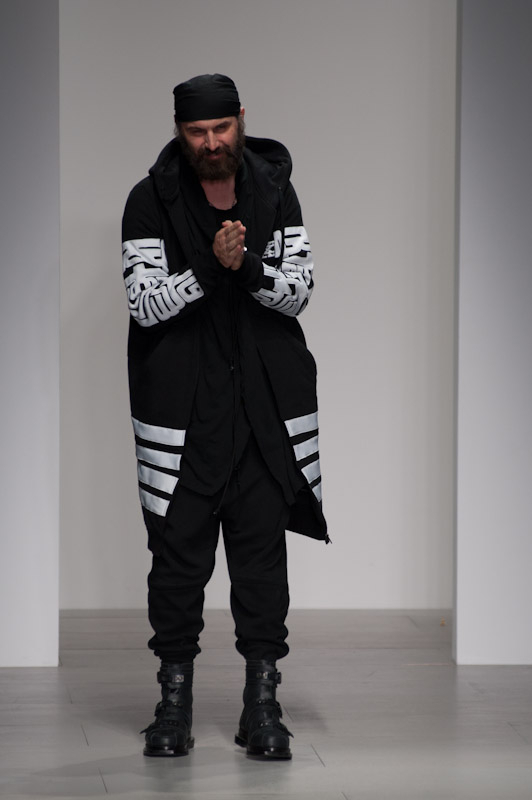 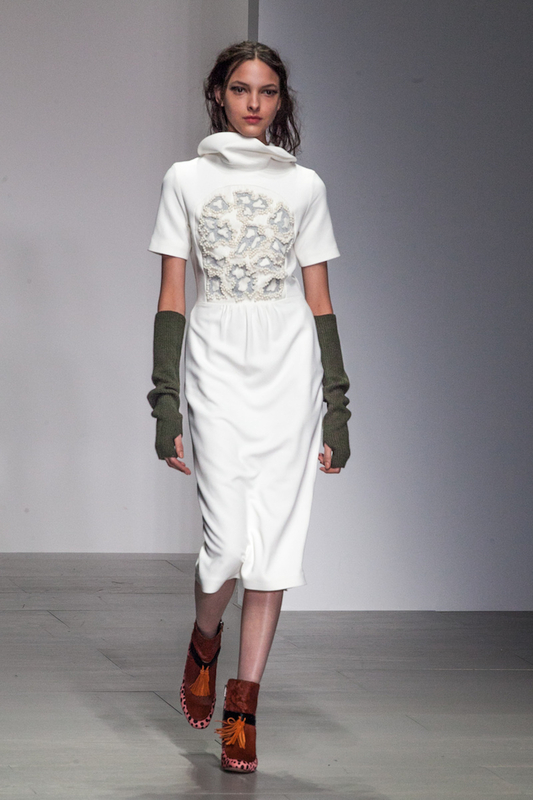 To see our behind the scenes report for Eudon Choi’s A/W 2014 collection visit here.